Ahoy there, me hearties! For those who are unaware, today is International Talk Like a Pirate Day! Yes, that really does exist! No, I am really not making this up! For inspiration you can follow the hashtag #TalkLikeAPirateDay on Twitter and find out who's getting involved. Take for example Morrisons, who are not only the only UK supermarket to have their own dedicated pie counter but also got in the Pirate mood by dressing up today! 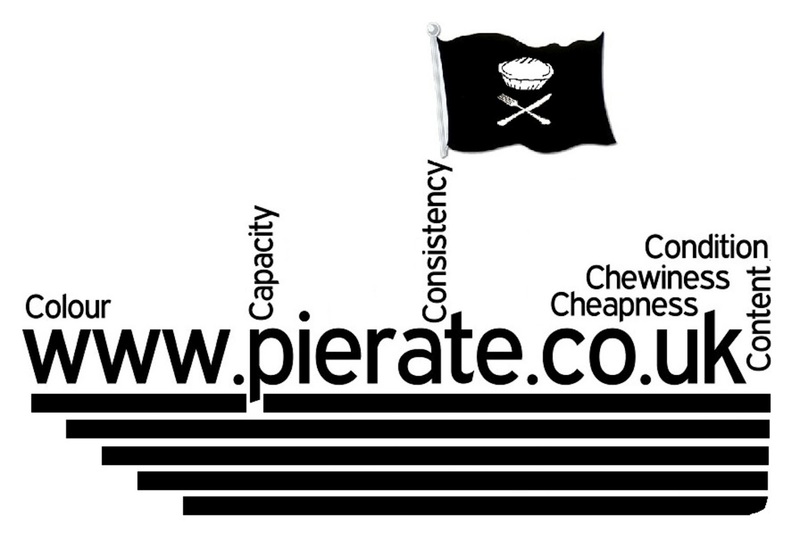 But as much as we love talking like Pirates on the web's leading pie review blog, what we REALLY love to do is talk like a Pierateer! And that means lots of talk about PIES!!! So while we don't want to completely pie-jack International Talk Like a Pirate Day, we'd love to share a few pie pearls with you to get you talking! Take for example our 7 Cs we sail - the 7 criteria on which we rate all our pies. Or our pie pun dictionary, which includes some right pearls of punnage. Or even our pie treasure map, which shows you where the best independent pies can be found! Humble Pie: What is it? Pie Up Pompey! What's Up With The Pompey Pie? How to have your own PIErty!